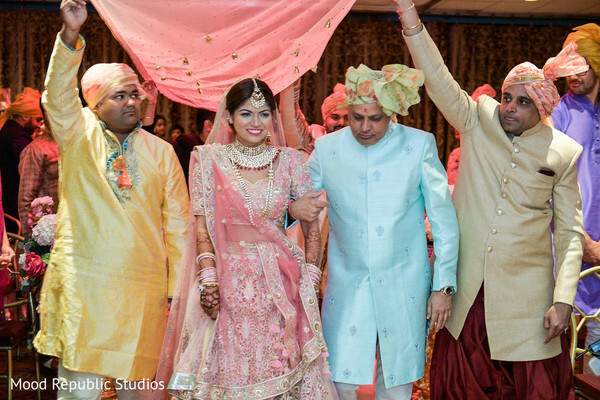 How fortunate we are to witness another wonderful love story! 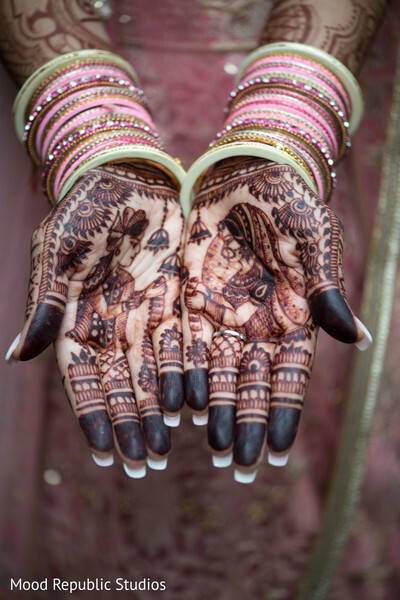 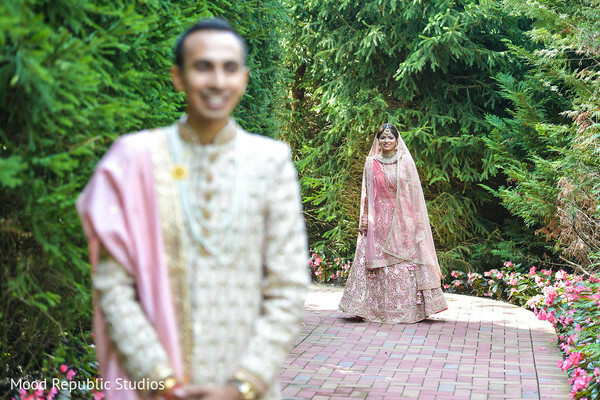 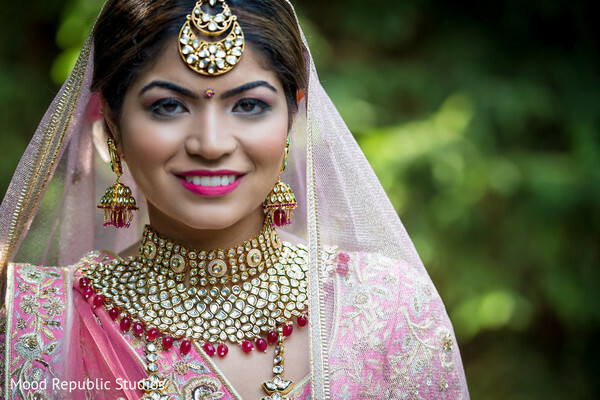 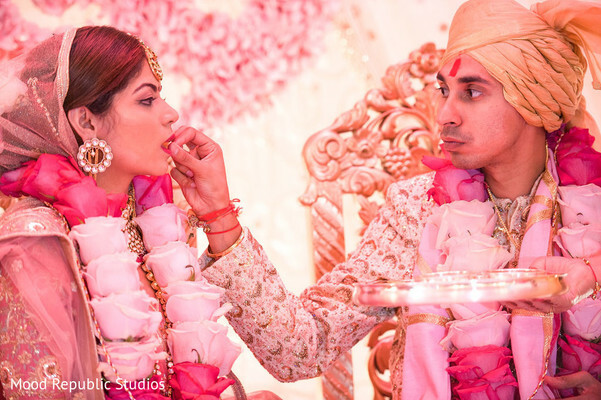 Today we behold the amazing nuptials of Hazel and Naresh photographed by Mood Republic Studios! 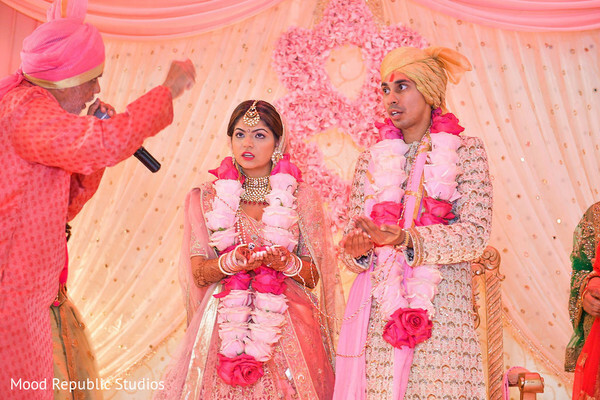 The wedding spree began with the couple hosting a lively and vivid village-themed sangeet night where the lovely bride to be was the queen of the night thanks to the beautiful touch of Simple Beauty by Preeti. 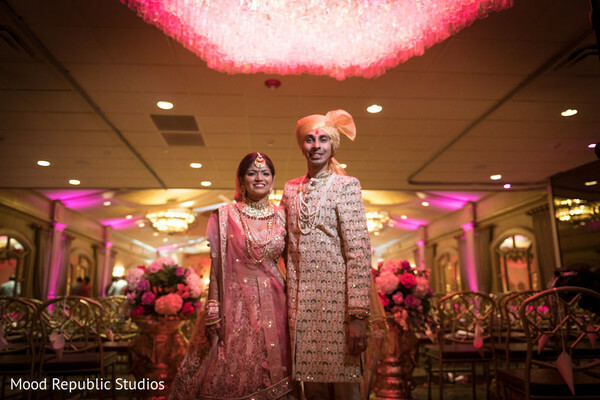 Guests came from near and far to testify the couple’s love who joined their lives in a solemn union at Long Island’s premier wedding venue, the wonderful Crest Hollow Country Club. 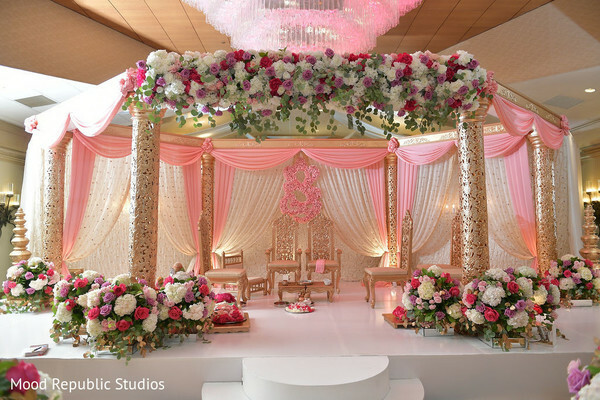 The traditional Gujarati ceremony was fully decorated by Elegant Affairs Inc with fascinating floral arrays, a majestic hexagonal open mandap stage while a pastel pink color palette prevailed and made the entire place scream romance! 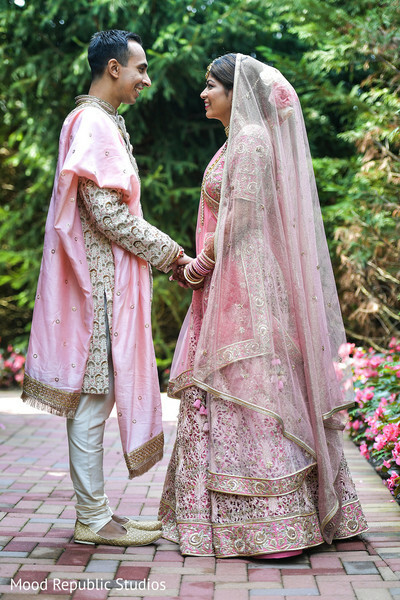 The striking, bejeweled bride flaunted a feminine lehenga assemble in pink hues while her hands were beautified with an utmost detailed mehndi design by the artist Henna by Inder. 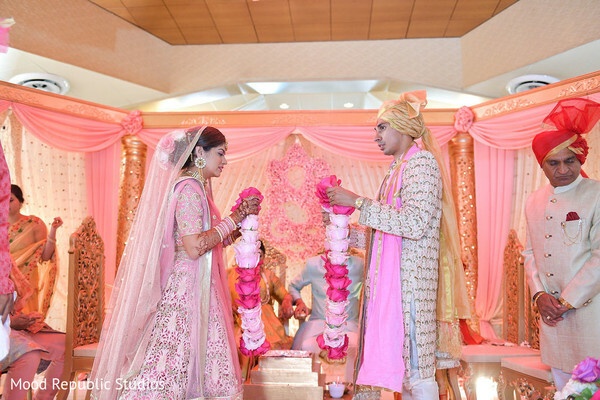 Take a look at this astonishing wedding in our full gallery! 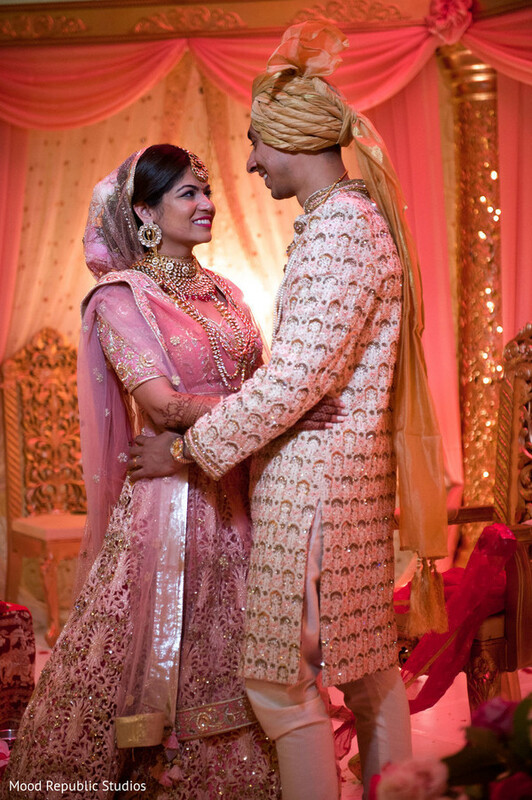 We will reveal more details about the alluring ballroom soiree in a few!